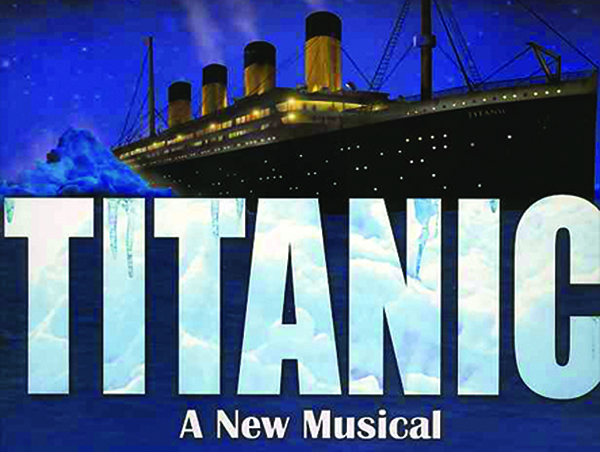 Titanic the Musical combines one of the greatest tragedies with exceptional music, and exquisite period costuming in a powerfully moving theatrical production. Grand in scale and featuring an ensemble cast of thirty-five performers, the audience is introduced to the real-life individuals who played an integral part in the fateful voyage. Whether they travelled first class, second class, or steerage, the Titanic passengers stepped on board the massive ship with the hope and desire to accomplish their life's dreams. Unaware of the fate that awaits them, the third class immigrants dream of a better life in the song "Ladies Maid" The second class Alice Bean is constantly on the look out for opportunities to rub elbows with the rich and famous on board and the millionaire Barons of the first class dream of their mastery lasting forever. Songs like "In Every Age" sung by ship builder, Thomas Andrews, reflect on great human accomplishments made over the course of history, Titanic being among them. Performances are August 10-25, Fridays and Saturdays at 7:30 p.m. and Sundays at 2:00 p.m. Tickets are $15 with discounts available for students and seniors and can be purchased by calling 615-563-2787 Tuesday through Saturday 10AM-4PM or online at artscenterofcc.com and (subject to availability) at the door one hour prior to show time. Titanic is rated PG and is sponsored by First Bank. .